Virtual Parking - your parking space. Cars, Muscle Cars, Classic Cars, Trucks, Vans. Complete description available at Amazon.com. Product Description: Frank Adkins, an ASE-certified master technician, details performance modifications for each family of Chrysler engines and each specific model within each family, with interchangeability of parts a common theme. 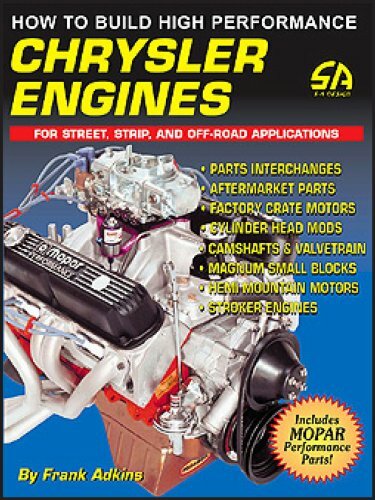 This book includes aftermarket components and services, do-it-yourself modifications, technical specifications, performance figures and a comprehensive review of engine upgrades. © 2019 Virtual Parking Lot. All rights reserved.